Friday, a new candidate announced his entry into the Phoenix mayoral race drawing questions about his political motivations among the politically astute. 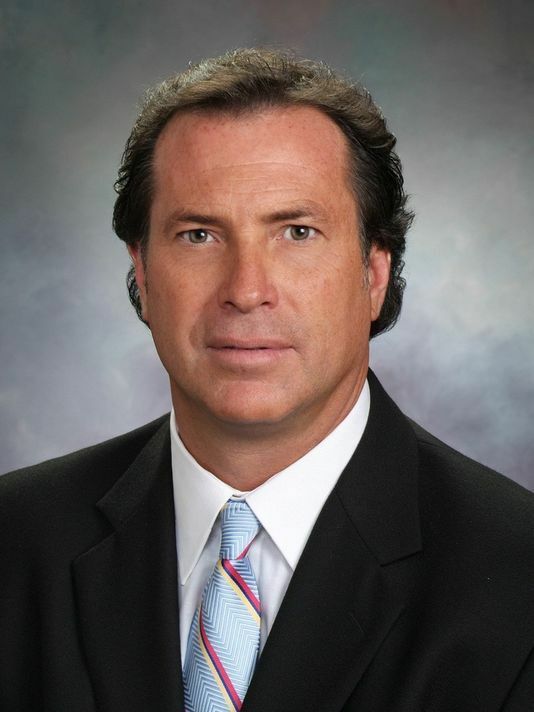 Michael Lafferty, a Phoenix businessman and developer, entered the race asserting his affiliation as an independent candidate although he is currently registered as a Republican according to Maricopa County voter records. The Arizona Republic noted that Lafferty’s company owns a 1,500 unit apartment complex near 12th Street and the light rail station. The Republic also stated that Lafferty has been involved in Phoenix business for 34 years. Sonoran Alliance researched his political contributions specifically related to Phoenix candidates and what we found draws into question his motive for seeking the top seat at the City of Phoenix. At no time over the last few years has Lafferty contributed to the campaigns of Republicans Sal DiCiccio, Jim Waring, Bill Gates (when he was on council) or Thelda Williams. 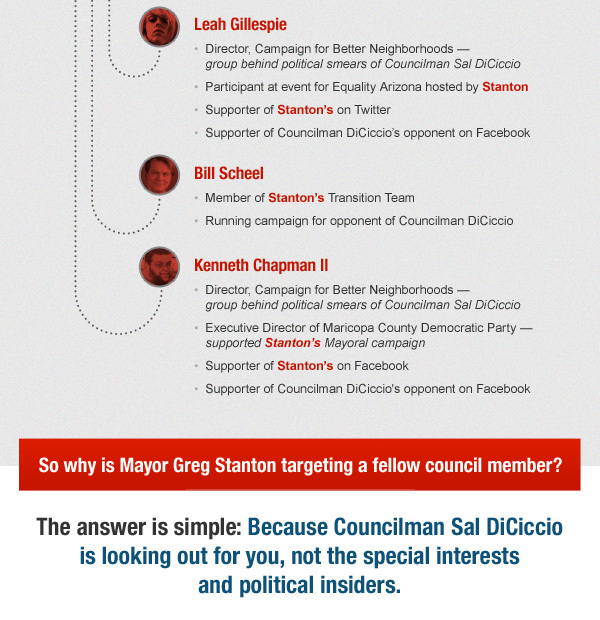 This blog has to ask the question why would a candidate who acknowledges his political registration as Republican and transitioning to Independent, jump into the mayoral race when he has a history of supporting Phoenix Democrats? Why not run as a Democrat? And, as a Republican, why didn’t Lafferty support any of the Republican candidates running for city council? Political speculators are already arguing that Lafferty is strategically running to eliminate the only Republican, Moses Sanchez, from winning the seat or a slot in a primary runoff contest. In our opinion, Michael Lafferty should re-register as a Democrat. We’d like to hear your take on this important race for Phoenix Mayor. Last week, I wrote about the structural deficit our city is facing. Our deficit problems will continue until we make public safety our priority and cut spending in non-essential areas. On Tuesday, city staff gave a presentation regarding the budget deficit forecast. The forecast, which did not come as a surprise to me, shows our deficit continuing to grow out of control, even while we collect increased revenue. Just during a single city council meeting, we could have cut $16 million of unnecessary spending. But instead, we continued to add to the structural deficit problems we face. As long as we continue to spend in this manner, we will continue to see your taxpayer monies wasted. And city officials will continue to have their hand out, telling you they need to increase your taxes because they are short on revenues. They’re not. They just have a spending problem. You have my commitment to continue to protect you, your family and your hard earned tax dollars. PHOENIX (JUNE 7) – Seven Arizona elected officials today announced their support for Chris DeRose’s campaign for Phoenix City Council, District Three. DeRose is running to replace Councilman Bill Gates, who is running for Maricopa County Board of Supervisors. Endorsements announced today include: Phoenix City Councilman Jim Waring; Phoenix City Councilman Sal DiCiccio; Congressman David Schweikert; Corporation Commissioner Bob Stump; Corporation Commissioner Tom Forese; House Majority Leader Steve Montenegro; and Maricopa County Attorney Bill Montgomery. City of Phoenix, District 3 includes the neighborhoods of Sunnyslope, Moon Valley, and northeast Phoenix. In 2012, it was carried by Mitt Romney by 53-44 percent and in 2014 by Governor Doug Ducey 50-43 percent. About Chris DeRose: Chris DeRose is a major felony prosecutor who has tried more than 40 cases on appeal and argued twice in the Arizona Supreme Court. DeRose has prosecuted homicides, crimes against children, and criminal street gangs. DeRose is also a New York Times bestselling author of three books and an American historian. A former Constitutional Law professor, DeRose was selected by his students as the 2014-2015 Professor of the Year. From 2010-2015, DeRose served as a board member of Phoenix Collegiate Academy, a 2nd-12th grade school creating “a seamless path to college” for a 90% Title I student body. Also from 2010-2015 DeRose served on the Village Planning Committee. From 2008-2009 he served on the Neighborhood Blockwatch Oversight Committee. 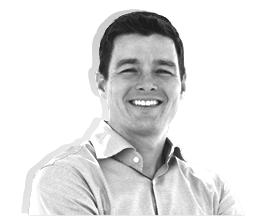 In 2014, he was named a “Top 40 Under 40” leader in the valley by the Phoenix Business Journal. Once in a rare moment, does this blog break ranks from the traditional conservative line and go public with an endorsement of someone who really needs to win an election. This happens when the alternative is so unacceptable to the greater good that it necessitates a break in the silence. This is the case in the race for Phoenix City Council, District 4. On this rare occasion, it is imperative that we break endorsement silence by asking that the voters of district 4 cast their vote for Justin Johnson. There’s no other way to state it other than Johnson’s political opponent, Laura Pastor, would be devastating to the City of Phoenix. Pastor opposes immediate repeal of the food tax – which impacts low and fixed income residents of Phoenix and exacerbates the cycle of poverty in a district that so desperately needs relief from government taxation. Pastor also fails to understand the devastating long-term impact of pension spiking and the need to overhaul the system. Unlike Justin Johnson, Laura Pastor has refused to sign the pledge to end pension spiking. We even question Pastor’s desire to serve on the council given her commitment to attend board and committee meetings to which she was appointed. Since her last run for office, Pastor has barely shown up 50% of the time. That speaks volumes to her commitment to district 4 residents. That leaves a far more acceptable, committed and solution-driven candidate in Justin Johnson. And while we disagree with him on several social policies, we believe he will best represent and look out for the best interest of the residents of Phoenix’s district 4. Next Tuesday, when you head to the polls in Phoenix District 4, we ask that you adjust your focus to a long-term view for the future of Phoenix. The current council needs one additional critical vote to pass reforms that will benefit all residents of Phoenix and restore economic common sense to Phoenix government. Please cast your vote for Justin Johnson. Due to my efforts fighting for the elimination of the food tax, pension reform and other government reforms, a liberal group with a secret donor list, is attacking me and the accomplishments we’ve made over the past few years. Unfortunately, this group has chosen to attack me with mailers and emails full of half-truths and some outright lies. 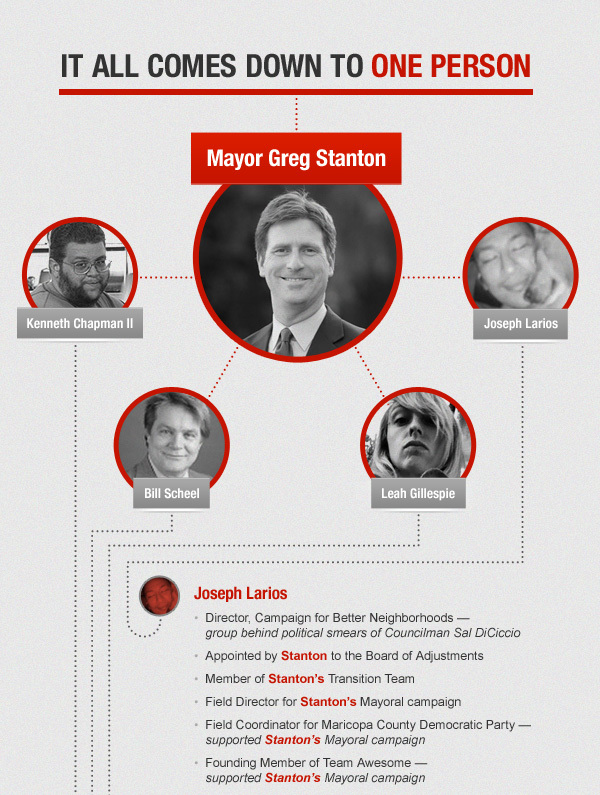 Sadly, but not surprisingly, the members of this liberal group tie directly to Mayor Greg Stanton. View the infographic below to learn more about their operation. It’s time to blow their cover! Phoenix, AZ – Local Civil Rights Leader, the Rev. Jarrett Maupin is challenging Councilman Michael Nowakowski to, “Do the right thing and withdraw his endorsement of Kate Widland-Gallego.” Maupin worked to elect Michael in 2007 to the council for his first term by organizing Black churches to turn out voters at the polls. Sunday after Sunday, throughout South Phoenix, Maupin says he and Michael were “joined at the hip” working the pews in an effort to elect a Latino to the council. There was no Latino serving at the time. Now, with the city’s only Black-held council seat up for grabs, the Reverend doesn’t understand how Nowakowksi could, “Attempt to politically lynch Phoenix’s Black Community by bending to the will of Rep. Ruben Gallego,” who is running his wife, Kate Widland-Gallego, a White political interloper, over against the Black candidate in the race for the city’s 8th council district seat. Michael had traveled extensively- speaking, praying, and asking for votes – in the city’s black churches, at Maupin’s invitation and direction. “He campaigned in our houses of worship on a unity platform. He would read a favorite prayer of Cesar Chavez, quote Dr. King, and now he has thrown all of those promises he made, promises made in God’s House, under the bus. He has turned Si Se Puede and We Shall Overcome into Si Yo Puedo and Me, Myself, and I,” said Maupin. The activist also says the councilman is “For some godforsaken reason, and at Ruben Gallego’s command, trying to ignite racial political fires by backing a White candidate with a Hispanic last-name to confuse voters.” Kate Widland-Gallego, who is not Latina, is also not openly campaigning as White. “Ruben must have convinced Michael that Latinos and Blacks who vote in South Phoenix are stupid. We know what a wolf in sheep’s clothing looks like. Why doesn’t Widland-Gallego run on who she is: a power-hungry, White, SRP booster who never lived in South Phoenix and has no relationship with the district’s minority voters? Can’t she be real about who she is? If she won’t tell her story, I know a preacher who will.” said Maupin. Our October 2011 meeting features Prop 13 Arizona Chairman, Lynne Weaver, explaining the Paradise Valley and Cave Creek School district ballots relating to overrides and issuing bonds. Phoenix City Council District 1 Candidate Eric Frederick explaining the importance of the Phoenix City Council elections to Republicans in the entire Phoenix Metropolitan area and what you can do to help Republicans wrest control of the city government from labor unions and other big spenders. Eric Frederick is an up and coming conservative Republican who is both informative and inspiring. After listening to him, you will not only feel that the future of the Republican Party will be in good hands, you will want to help him make that happen. We have a local government focus this meeting because that is what the November elections are about this year. Both speakers are solid conservatives who really know government at the school district and city levels, respectively. There will be plenty of time for questions and answers. PHOENIX – Wes Gullett released his “Less Red Tape Means More Jobs” plan this morning, the centerpiece of which is a plan for same-day permitting. Under Gullett’s plan (attached), a qualified customer can walk into the city and, meeting the requirements, walk away with a permit on the same day. The plan was unveiled at Copper Star Coffee, a local business that has faced significant challenges in obtaining permits in a timely fashion under the city’s current process. The plan is supported by four current council members: City Councilmen Sal DiCiccio, Tom Simplot, Bill Gates and Jim Waring, who all appeared with Gullett at today’s press conference to support his plan. 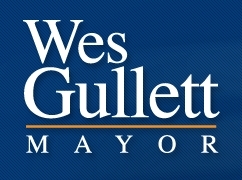 In addition to same-day permitting, the Gullett plan calls for all city departments to engage in a top to bottom review of all regulations and delete those that are unnecessary; a comment period and sunset review on all regulations; consolidating the Planning and Development Services Departments with the Economic Development Department to allow for more direct and immediate support for small businesses; expanding online services for permitting and business services; establishing a single point of contact for major development projects; updating zoning ordinances; and reducing permitting fees.